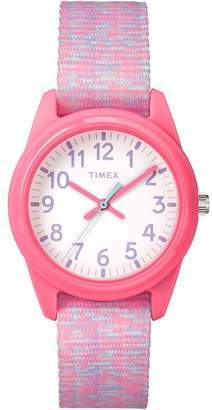 Ideal for teaching your little one how to tell the time, this Timex watch has an easy to read white dial - perfect for the early learner. 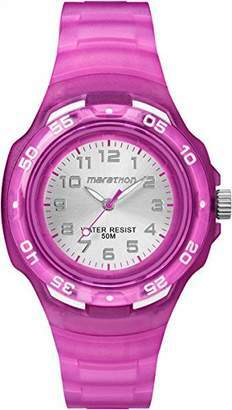 The pink faux leather strap ensures its both comfortable and snazzy, while the 30m water resistance ensures you can still have a splashing time. Watch features:Analogue display. White easy to read dial. Case width 24mm. Metal case. 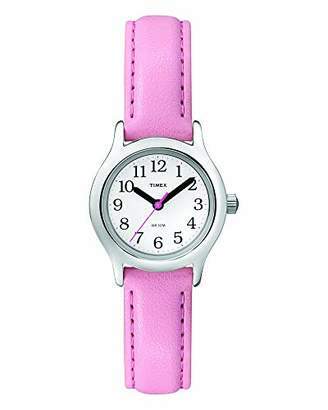 Pink leather strap. Buckle clasp. Water resistant to 30m. General information:For ages 5 years and over. EAN: 753048278503.